Deep in the rugged Appalachians of North Carolina lies the cove, a dark, forbidding place where spirits and fetches wander, and even the light fears to travel. Or so the townsfolk of Mars Hill believe - just as they know that Laurel Shelton, the lonely young woman who lives within its shadows, is a witch. Alone except for her brother, Hank, newly returned from the trenches of France, she aches for her life to begin. Then it happens - a stranger appears, carrying nothing but a beautiful silver flute and a note explaining that his name is Walter, he is mute, and is bound for New York. Laurel finds him in the woods, nearly stung to death by yellow jackets, and nurses him back to health. As the days pass, Walter slips easily into life in the cove and into Laurel's heart, bringing her the only real happiness she has ever known. But Walter harbors a secret that could destroy everything - and danger is closer than they know. Though the war in Europe is near its end, patriotic fervor flourishes thanks to the likes of Chauncey Feith, an ambitious young army recruiter who stokes fear and outrage throughout the county. In a time of uncertainty, when fear and ignorance reign, Laurel and Walter will discover that love may not be enough to protect them. At first Laurel thought it was a warbler or thrush, though unlike any she'd heard before - its song more sustained, as if so pure no breath need carry it into the world. Laurel raised her hands from the creek and stood. She remembered the bird Miss Calicut had shown the class. A Carolina Parakeet, Miss Calicut had said, and unfolded a handkerchief to reveal the green body and red and yellow head. Most parakeets live in tropical places like Brazil, Miss Calicut explained, but not this one. She'd let the students pass the bird around the room, telling them to look closely and not forget what it looked like, because soon there'd be none left, not just in these mountains but probably in the whole world. In the novel's prologue, an older local man calls the cove, "a place where only bad things happen." Is that true? How would you describe the cove? Would you say the cove is haunted or cursed? Do you find remote places like it off-putting or soothing in their distance from the rest of the world? In the prologue, the government surveyor discovers a skull at the bottom of a well. How does the prologue set the novel's mood and tone? Discuss the role of nature in the book. What is the significance of the Carolina Parakeets mentioned at the beginning of the story? How does the natural world influence the novel's character: Laurel, Walter, Chauncey, Slidell? Use examples from the story to illustrate your comments. One reason Rash's novel packs such a punch is that its themes are, like love and hatred, timeless. You could take the basic structure of The Cove and place it anywhere, at anytime, and it would still be relevant to modern readers. But it's not only the framework of his novel that makes it such a good read. Rash's characters aren't stereotypical. They breathe life into story and give the structural skeleton its flesh. The overall product is a complete work of literary fiction which, though not without flaws, simply tells a damn good story in language that's satisfyingly rich and well-suited to the more serious tone of the book. (Reviewed by Lisa Guidarini). [A] powerful novel, with some of the mysterious moral weight of Carson McCullers, along with a musical voice that belongs to Rash alone. This book ranks among the best backwoods fiction since 2006's Winter's Bone.... [A] gripping novel… [not] just an elegant work of literary fiction, written in a voice that's hauntingly simple and Southern; it's also a riveting mystery. Rash never lays down a dull or clunky line… at the very end… these pages ignite, and suddenly we're racing through a conflagration of violence that no one seems able to control except Rash. Mr. Rash's writing is so richly atmospheric… [he] can make words take wing… A breathless sequence of events lead the book to its devastating final sentence. And that sentence affirms Mr. Rash's reputation for writerly miracles. Starred Review. The gripping plot, gothic atmosphere, and striking descriptions, in particular of the dismal cove, make this a top-notch story of an unusual place and its fated and fearful denizens. Starred Review. Rash effortlessly summons the rugged Appalachian landscape as well as the small-mindedness and xenophobia of a country in the grip of patriotic fervor, drawing striking parallels to the heated political rhetoric of today. 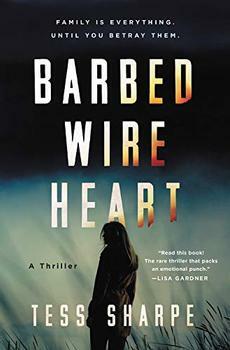 A powerful novel that skillfully overlays its tragic love story with pointed social commentary. Starred Review. Sharp work from a promising writer who might do even better with the broader scale of a novel. Starred Review. Rash develops his story masterfully; the large cast of characters is superbly realized, as is the xenophobia that accompanies the war, and Rash brings the various narrative threads together at the conclusion of the novel with formidable strength and pathos. I wish the whole world spoke the way Ron Rash's characters do. Read him for his poetry and great humanity. Just read him. Ron Rash uses language with such apparently effortless skill that it is as though he found words in his barn as a child and has been training them to fit his needs ever since... Rash throws a big shadow now and it's only going to get bigger and soon. Ron Rash is a writer of both the darkly beautiful and the sadly true; his new novel, The Cove, solidifies his reputation as one of our very finest novelists. Set during World War One, The Cove is a novel that speaks intimately to today's politics. Beautifully written, tough, raw, uncompromising, entirely new. Ron Rash is a writer's writer who writes for others. Ron Rash was born in Chester, South Carolina, in 1953, grew up in Boiling Springs, North Carolina, and is a graduate of Gardner-Webb University and Clemson University. In 1994 he published his first book, a collection of short stories titled The Night the New Jesus Fell to Earth. Since then, Rash has published four collections of poetry, three short story collections, and five novels, all to wide critical acclaim and several awards and honors. Rash's poems and stories have appeared in more than 100 magazines and journals over the years. With each new book, Rash has confirmed his position as a central and significant Appalachian writer alongside well-established names like Fred Chappell, Lee Smith, and Robert Morgan.